While guinea pigs are usually social, happy animals, they may be a bit shy at first, especially when getting adjusted to a new home. Don’t rush your pet into an instant relationship, but instead, take time to let him feel comfortable in his new surroundings. Once he’s well-established, you can gently introduce him to new people, places and things. Your guinea pig may be a bit timid or even skittish when you first bring him home. This is especially true for pigs being rehomed or coming from shelters where they might have been recovering from a less-than-ideal previous home environment. Give him a few days in a calm, quiet environment so he can get used to the smells and sounds of his new home. Don’t put him in a cage with companions right away, and don’t let everyone in the house handle him immediately -- just let him get comfortable. Talk gently to your guinea pig every time you interact with him and watch how he responds to your voice. Your shy pig may respond to a soft tone or an upbeat one. Don’t yell at or be loud with a shy pig; work to find what kind of attitude and approach from you brings him out of his shell. Hand-feed your pig when you talk to him to encourage interaction. This will help him understand that interacting with you results in good things. Guinea pigs usually enjoy being held and played with, though you’ll have to use caution and not handle a shy pig too roughly. Bring your pig out of his cage, holding him firmly against your body so he won’t be scared of falling, and into a small enclosed play area -- for example, set up a perimeter of pillows on the floor so he’s safely contained. Offer treats and let your pig come to you. Pet him, brush him softly and reward him with treats when he’s showing some enthusiasm. Invite other members of the household into your play circle one at a time, and instruct each person to take it slow and let your pig get to know them. An overwhelmed guinea pig can become even more withdrawn, so if you sense he’s getting overstimulated, put him back in his cage and try again later. 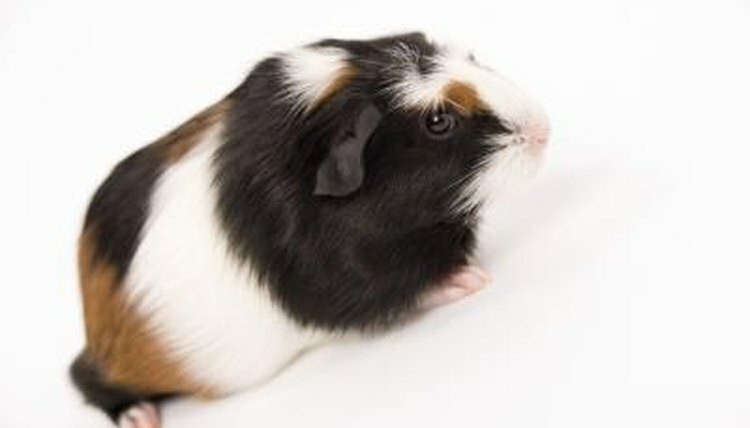 Consistency in handling and interacting with your guinea pig can make him more social. Why Does My New Puppy Stay in a Corner and Is Very Shy?